As I mentioned recently, I am going to be adding a removable wallpaper accent wall in my bedroom soon (hopefully). This will be my second foray into the popular renters’ solution for boring walls, and I’m super excited about it! Earlier this year I wallpapered a small nook in my kitchen, post to come, and I couldn’t believe how easy the whole process was. There are a few different types of removable wallpaper. From peel and stick, to wallpaper tiles, to murals and water-activated glue. 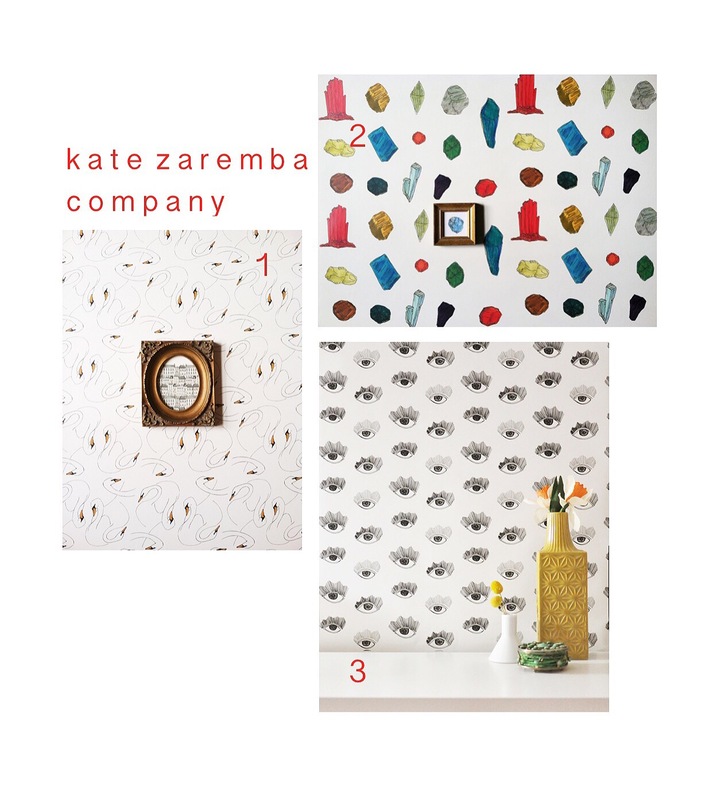 I used a water-activated removable wallpaper from Kate Zaremba Company and it’s everything. The one issue I ran across while planning this upgrade was sourcing a paper I loved. I knew they were out there, but good lord! They were hard to find! So I thought I’d share what I found with any of you who may be considering going this route. Let’s hit it. h a n d – d r a w n i l l u s t r a t i o n Let’s start with Kate Zaremba Company. This is the company I used, and I have a serious obsession with her work. Everything she makes is gold and I would paper each wall in my house with a different one of her designs if I could. The designs are all made with her own illustrations and add a fun pop of whimsy to any space. 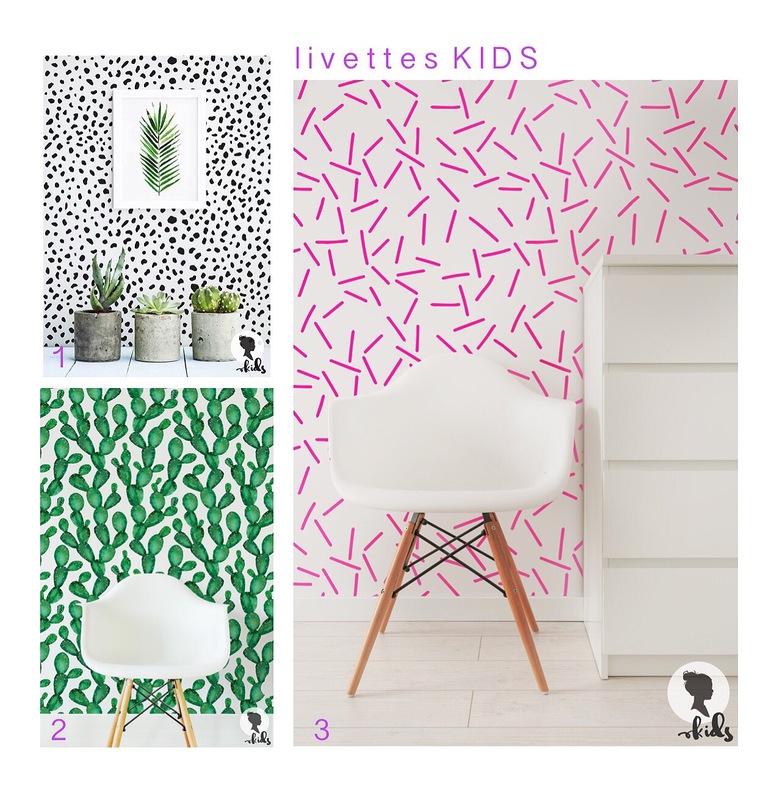 p l a y f u l & b r i g h t LivettesKIDS is an Etsy-based wallpaper store that has a ton of playful, cheery options. Apparently the options here are geared towards children’s spaces, but I love them for any space! They make a big statement, so using these for an accent wall, kitchen or bathroom is probably a good bet, and they’re obviously perfectly suited to nurseries as well. m o d e r n f l o r a l s Wallflora Shop is another Etsy store with lots of awesome options. 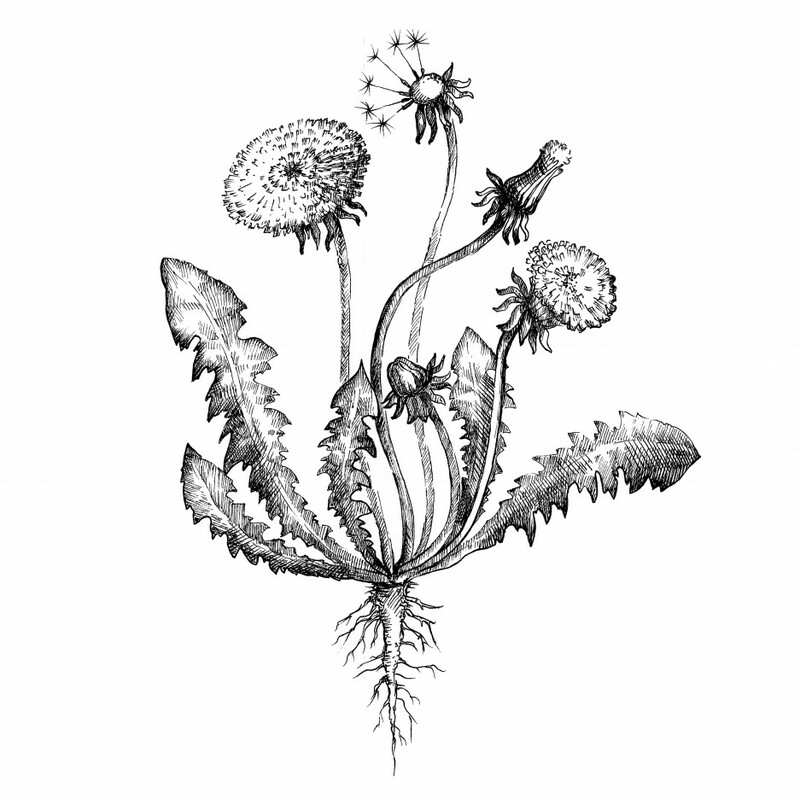 Any kind of flower you can imagine, they’ve got it for your walls. Some of the choices can go a little grandma, but I love their selection of large, pop-art inspired florals. Think powder room or lining the back of a bookcase for these bold beauties. 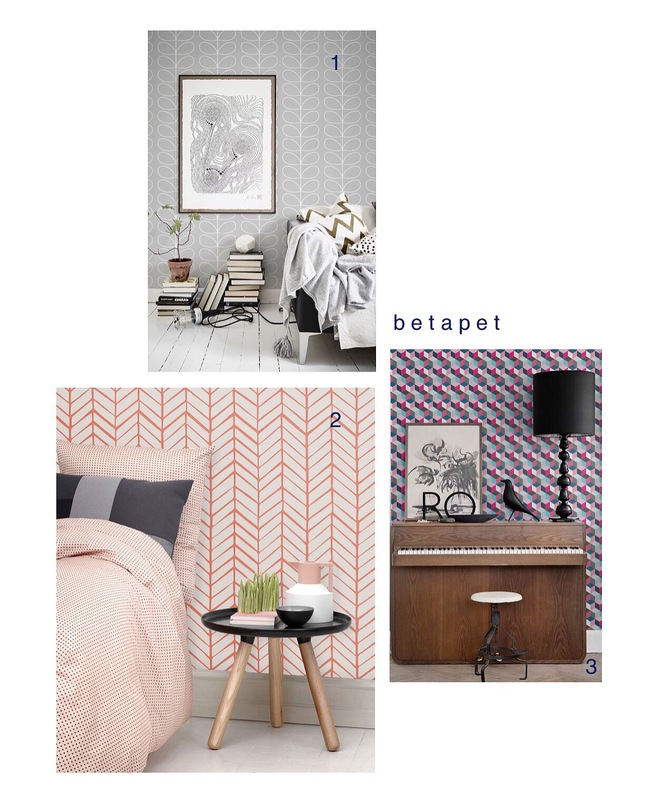 c o l o r f u l g e o m e t r i c s Betapet is amazing not only for its wide range of modern, geometric prints, but it is also endlessly customizable. Almost every pattern is available in a multitude of color ways, allowing you to perfectly suit the space you’re decorating. Their options will work in any wallpapering situation from a head-to-toe dining room to lining kitchen shelves. 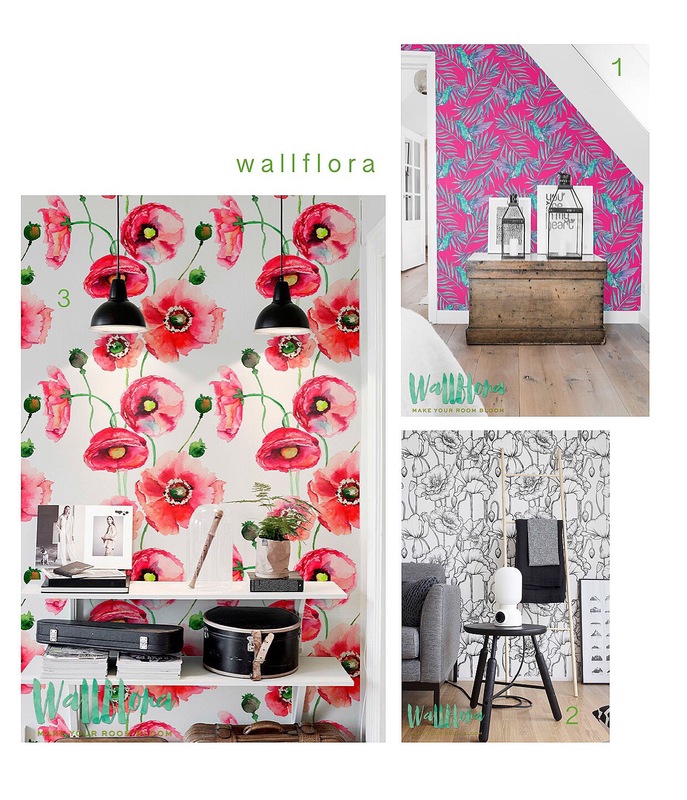 p o p a r t p r i n t s WallsNeedLove is not for the faint of heart! 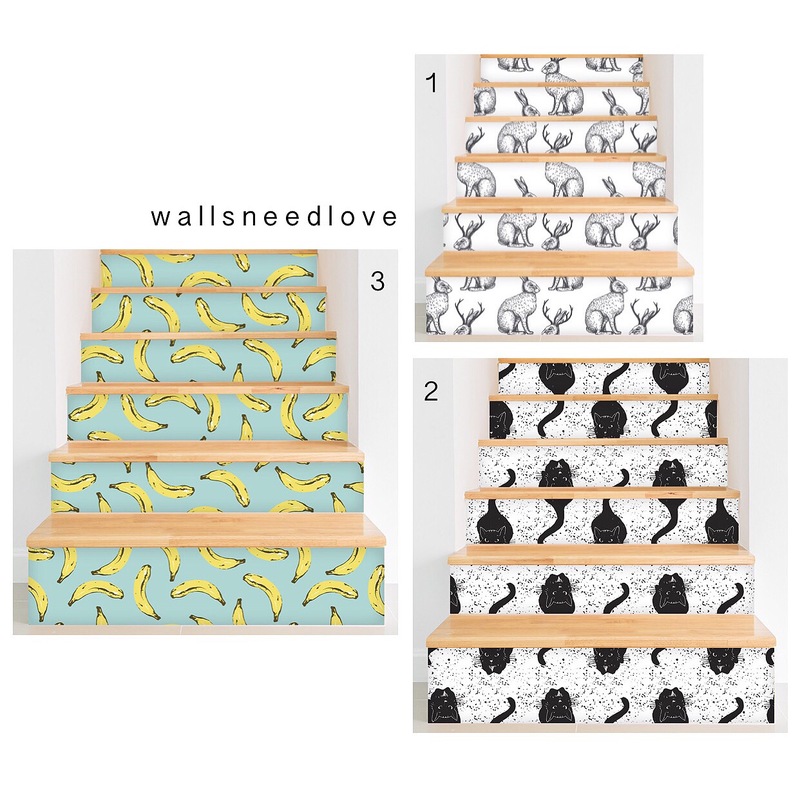 Their fun, quirky prints are for those of us who want something that screams “anti-wallpaper!”. Their prints are obvious pop art references, and I love it! I maybe wouldn’t wallpaper my whole living room in jackalopes, but then again…maybe I would! 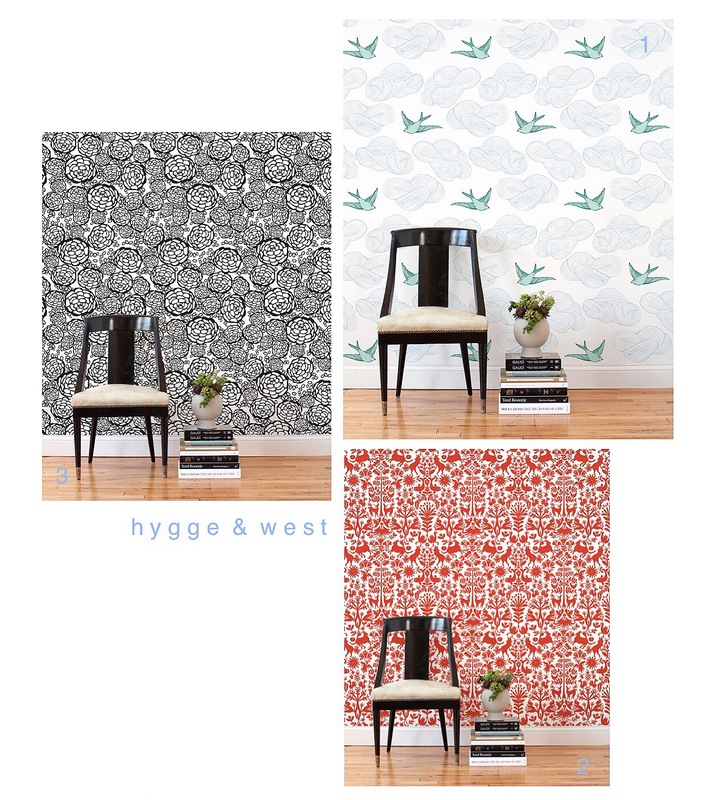 n e w c l a s s i c s Hygge & West is a company already well-known for their beautiful, high quality wallpapers. Recently they have jumped on the removable wallpaper bandwagon and I couldn’t be more pleased. Although their selection is small, the designs are classics that will stand the test of time. With a nod to tradition and little cheek, think of these designs for a library, office or even ceiling (hello little birdies and clouds!). 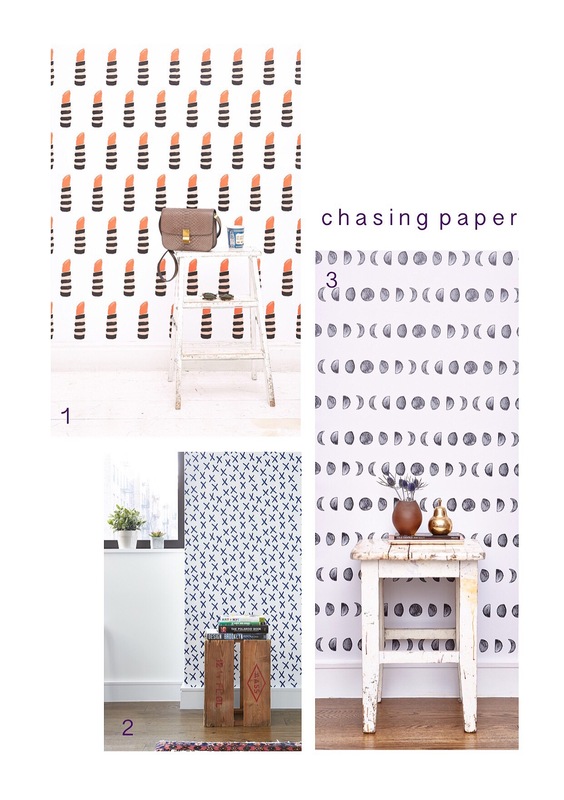 g r a p h i c & b o l d Chasing Paper is the grande dame of the removable wallpaper world. They’ve been at it a while and they’re still knocking it out of the park. They offer a mix of modern, bold, funky papers in tons of colors. With features from different artists, some of their papers are really more art installation than paint alternative. I’d love to paper a closet or bathroom in these graphic prints for an energizing start to any day! Phew! That was quite a marathon, but I hope it comes in handy. It really is such a great alternative to paint, especially for renters. Plus, with removable wallpaper, you can actually take it down when you move and use it again! Why would anyone use traditional wallpaper?? I’m confused. Has anyone else gone this route? Did you get the results that you expected? After being so happy with my experience, I’d love to hear about some of yours.